CHICAGO (WLS) -- The Chicago Bears officially introduced the team's new head coach, John Fox, on Monday. "As a head coach, my job is to motivate and manage the football team," he said. "I'm very tied in." He said controversial Quarterback Jay Cutler welcomed him to Chicago with at text. Fox said he has not spoken to him yet, but texted back "it's only fun when we win and we will win." When asked what he looks for in a quarterback, Fox said, "One that wins." Fox, who is known for making quick turnarounds, said he didn't know if he'd retain current coaching staff. "Finding the right kind of people. We look for smart, tough people," he said. "This is going to be about pulling people together." Fox said he takes one day at a time. "It's a challenge every day," he said. "I'm looking forward to this challenge. It starts with being successful in your division." 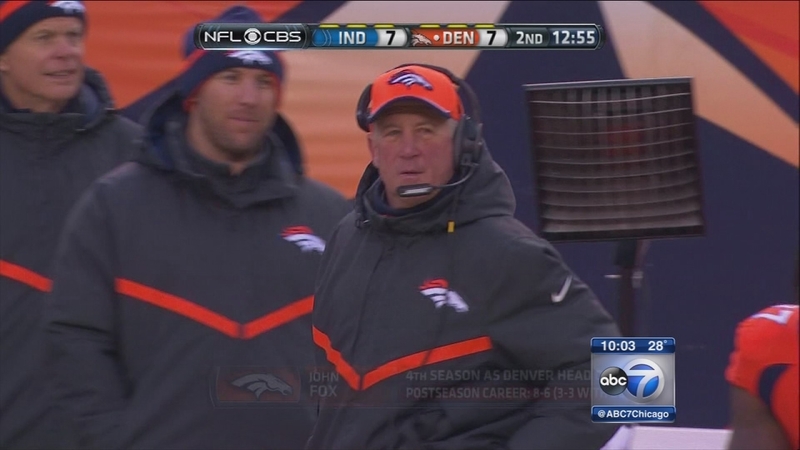 Fox is coming off four years as head coach for the Denver Broncos. He led them to 46 regular season wins and only 18 losses. He has led two teams to the Super Bowl. Bears fans are hopeful he can lead another team to the same success. "I can't make you any promises, except I'm gonna give you all I've got," Fox said. He then said "That trophy looks pretty lonely out there." Fox said he was going to reach out to former Bears player Brian Urlacher to "make things right with him," and to former Chicago Bears Coach Mike Ditka. The Chicago Bears fired GM Phil Emery and Head Coach Marc Trestman at the end of December. "It's got to be better. I'd be happy if they get to the playoffs. Anything else is gravy," said Doug Plotzke, a Bears fan. "I think so. He's going to be stability the team needs. Between him and the new GM, the Bears are going to have a good year," said Dave Gallagher, who roots for Chicago. "Definitely all the way. Chicago's going to be a major winner, major team for everyone to watch," said Adriana Gonzalez, another Bears fan. ABC7 viewer Emmaniel Valtierra took this picture with John Fox Friday night at O'Hare. 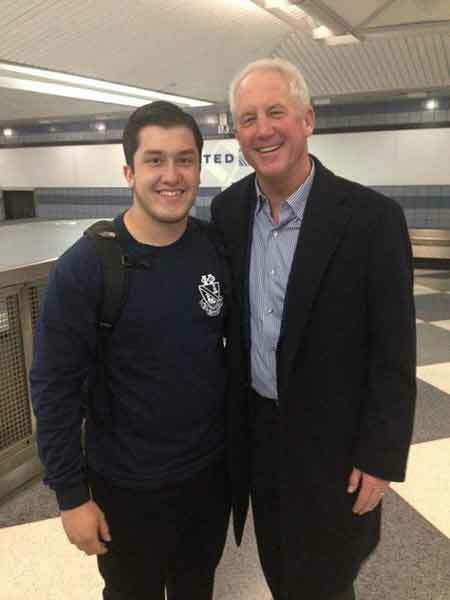 ABC7 viewer Emmanuel Valtierra took a picture with John Fox Friday night at O'Hare. ESPN analyst Tom Waddle said he likes the hire. There are no guarantees Fox will lead the Bears to a Super Bowl, but he brings something to the table that will surely help. Most importantly, I think at this particular time when he steps in the building he'll command the respect of the players. That's been a missing element the last couple of years. I think that accountability and discipline will be two key words you'll hear coming out of Halas Hall the next several years," Waddle said.